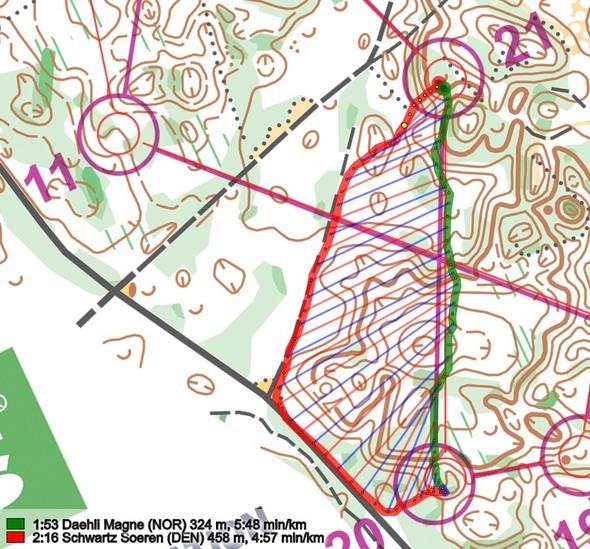 Today’s leg in Route to Christmas is from the “Course of the Year 2017″ – WOC Middle in Estonia – and the leg is chosen by the course setter Sven Oras. 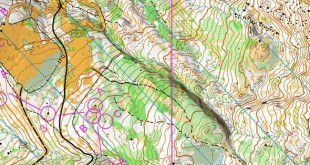 He has chosen the 19th leg in the Men 21 course as his favourite. 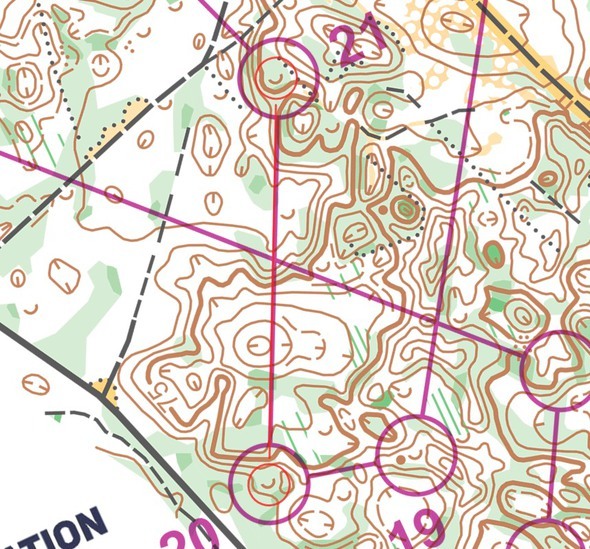 Oras says about the course and leg: – This course wasn’t designed with many route choices, but there were a few legs where there was a possibility to make use of the paths and tracks. My favourite leg was 18-19. 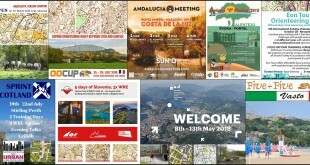 The leg is as usually first provided without routes – you may take a look at it and think about how you would attack this leg (if the image is too small, you may click on it to get it larger). Note! We did also include a bonus leg – see below the analysis section. Then you can take a look at how the runners have solved this leg below. The course setter Oras says: – The fastest route is going as straight as possible choosing the most relevent terrain features as pointers. There are also possibilities to use the roads to the left and right, but the total increase in distance makes these route choices slower. Here we see that Gustav Bergman (known for running very well straight) has he best split time with a direct route – keeping a bit to the right and using the big hill at the middle of the leg followed by a depression and another big hill as safe points. Frederic Tranchand runs the second best split time by using a path going slightly right in the first third of the leg to gain some speed, then a depression for security, and then going in towards Bergman’s route. The fastest route going to the left is Johan Runesson’s route – Runesson does however lose nearly half a minute on this route. None of the top runners run to the right – the ones who do lose a lot of time. 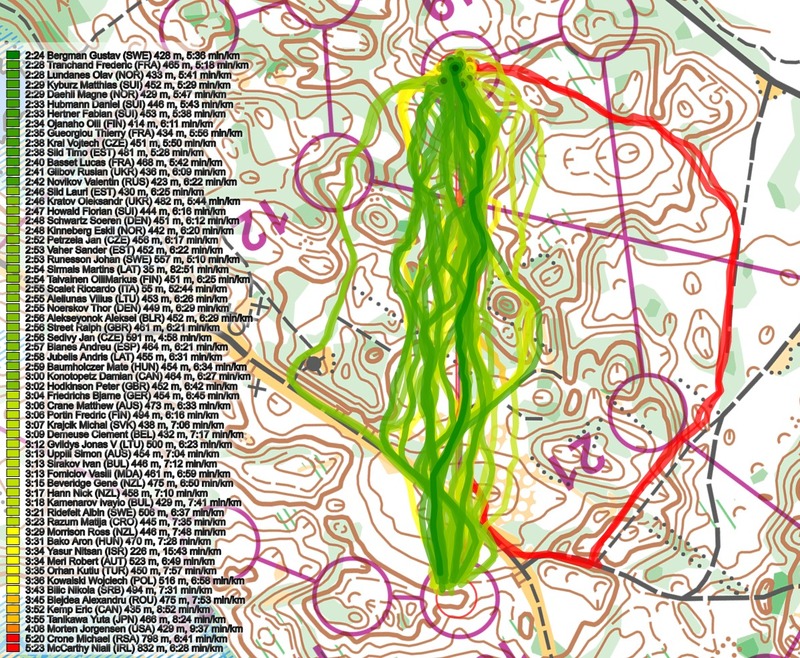 Below is a bonus leg from the same course – the leg to control 21 which has three distinct routechoices. Which would you choose? 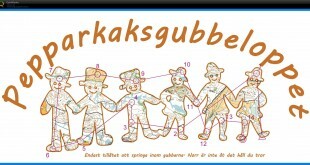 Now you can draw your own route using the ‘Webroute’ below. 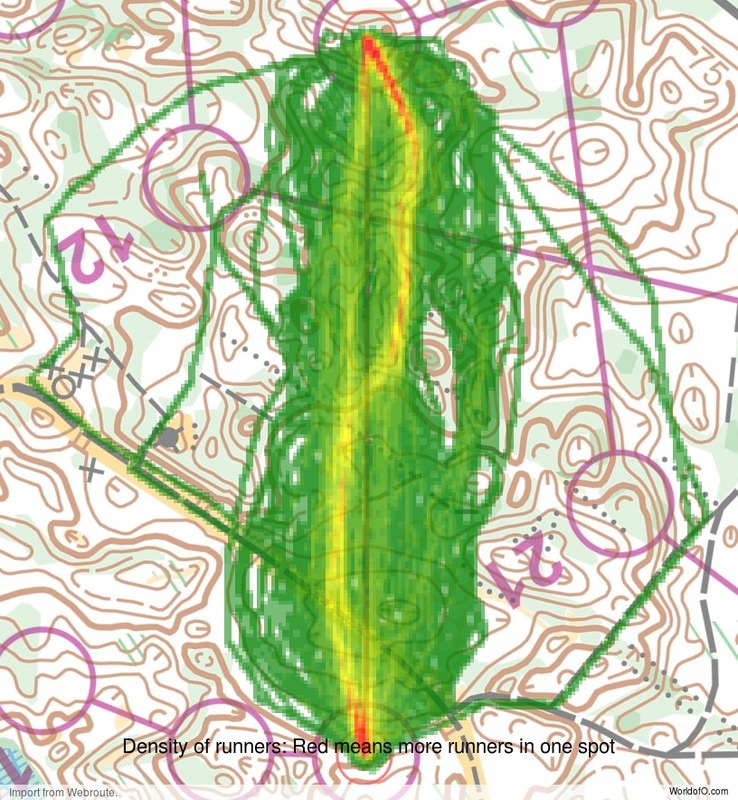 Think through how you would attack this leg, and draw the route you would have made. Some comments about why you would choose a certain route are always nice for the other readers.